Graduate Welfare Association Fazilka (GWAF) and Balaji Northern Railway Ramleela Samiti Fazilka celebrated Ramleela function in a novel way on Friday night in Nai Abadi locality here. They celebrated Ramleela as Green Ramleela as more than 250 saplings of different varieties were distributed amongst the audience free of cost to spread the message given in the Ramleela at large during the function. It was a scene when Hanuman uprooted and brought the mountain containing Sanjivani herb to save the life of unconscious Lakshman. As Hanuman reached the stage with the mountain having different saplings on it, the audience welcomed him with applause. The organisers distributed more than 250 saplings of Neem, Arjun, Sukhchain, Alestonia, Gulmohar, Kachnar and others varieties displayed from the mountain. "The idea is to give practical shape to all teachings and baseline values given in the Ramayana as our duty towards the environment during the Sanjivani herbs episode," said Lakshman Dost the Director of the Ramleela Samiit. "The modern era needs this kind of 'sanjivani' to alert the unconscious civil society towards their moral duties for environment," he added. "Each tree is sanjivani for the society and this is the most scientific way to protect our environment through faith and religion," said Dr Bhupinder Singh, who initiated the campaign to alert citizens of Fazilka about global warming through the teachings of Guru Granth Sahib last year like "Pawan Guru pani, pita mata dharat mahatu." UNESCO considered Ramleela as a Masterpiece of the Oral and Intangible Heritage of Humanity which is celebrated during Durga Sharad Navratras and now UNESCO will have more reason to say the same. Graduates Welfare Association Fazilka (GWAF) along with Sri Bala Ji Northern Railway Ramleela Samiti, Fazilka took up this unique initiate to spread the message given in Ramleela at large. Locally available and grown tree saplings (like Neem, Arjun, Sukhchain, Alestonia, Gulmohar, Kachnar etc) with the help of Forest Department Ferozpur shall be distributed to the audience free of cost. The idea is to give practical shape to all teachings and base line values given in our Veda's/holy book as our duty towards environment during the Sanjeevni herb episode, which Lord Hanuman brought to save the life of Lord Ram's brother Lakshman. 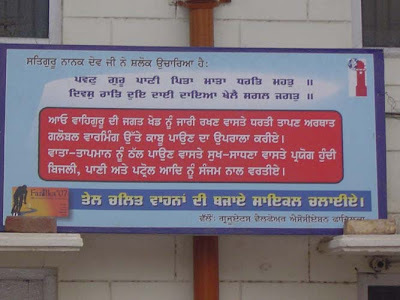 "Our present Kalyug needs this kind of Sanjeevni to make alert the unconscious civil society towards their moral duty for environment about which each faith and religion talk about" said in a joint statement given by President Balbir Singh and Laxman 'Dost' director of Sri Bala Ji Uttar Railway Ramleela Club. In this episode Hanuman was asked to look for the Sanjeevani herb that was reputed to have magical curative properties — it was believed to even bring the dead back to life — to treat Lakshman who lay unconscious on the battlefield. Unable to identify the herb, Hanuman simply uprooted an entire Himalayan mountain and delivered it in time to revive the mortally wounded Lakshman. Each tree is a Sanjeevni for us and this is the most scientific way that how we can protect our natural environment through faith and religion, said Dr Bhupinder Singh who last year initiated the campaign to alert citizens of Fazilka about Global Warming through the teachings given in Shri Guru Granth Sahib like "Pawan Guru Pani, Pita Mata Dharat Mahatu". 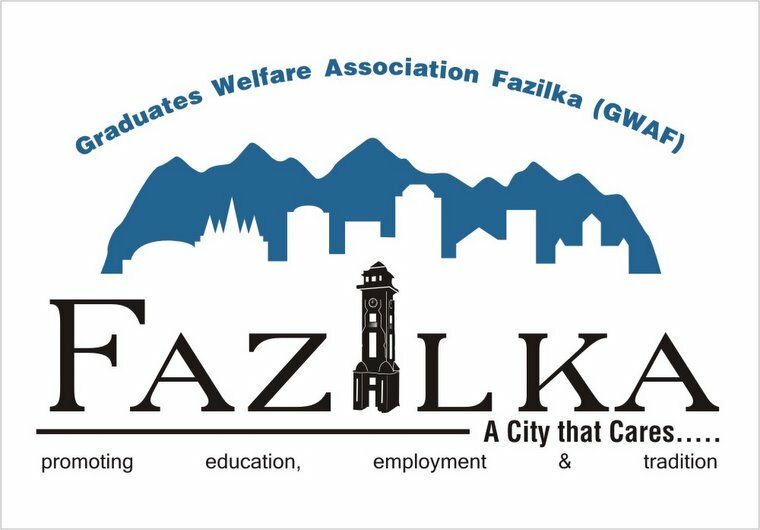 God fearing and hopeful people of Fazilka are welcoming this step. "We have taken this initiative this year and we hope the same initiative shall also be adopted by the other Ramleela as well. The idea of doing this is to alert the present and future generations about the teachings of holy book Ramayana and also to spread awareness about environment, said Navdeep Asija, Secretary GWAF. This episode shall be played on the night of 25th September 2009 at Nai Abadi area of Fazilka.